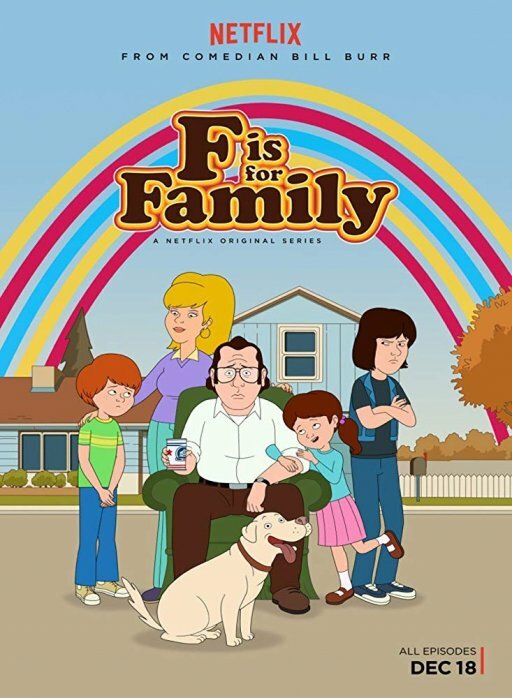 HispaShare.com - Serie "F Is for Family (1ª Temporada)"
Director: Bill Burr (Creator), Michael Price (Creator), Laurent Nicolas, Benjamin Marsaud, Romain Bounoure, Olivier Schramm, Mike Roberts. El portero Frank Murphy (Bill Burr) y su esposa (Laura Dern) crían a sus tres hijos (Justin Long, Haley Reinhart) en el año 1973. Comedia animada creada por Bill Burr y Michael Price. Bill Burr, Laura Dern, Justin Long, Debi Derryberry.